Naval architecture is my passion and profession. Upon graduating from Webb Institute with degrees in naval architecture and marine engineering, I took a job at the Sparkman & Stephens (S&S) office in midtown Manhattan. The storied history of the firm and its legacy are impressive and humbling. I have had the fortunate opportunity to work on a variety of projects and designs with our clients. The work coming out of our design department is highly customised for each of our clients, as we adapt to their specific sets of goals and needs. Over the last few years, many projects have either been recently completed or are currently in progress in the design department. Some phenomenal yachts have been launched, with work going on in categories including sail and power, refit and new design, big yachts, small yachts, production, and custom yachts. In our latest designs, modern systems and hydrodynamic performance are coupled with elegant design. We constantly strive for a graceful balance of form and function. When the two are in harmony, the result is a stunning product that is as joyful to sail as it is to see. Our latest and most exciting project under construction is design no. 2790, a 65-foot carbon fibre sailing sloop. She is currently in production at the Royal Huisman shipyard in Vollenhove, Holland. Royal Huisman and S&S have a long history, with 34 projects completed together over many decades. In 1969, S&S designed the first aluminium boat built at Royal Huisman, and now their first carbon fibre boat is well underway, with a launch date set for early 2016. The design is a perfect marriage of classic aesthetic and modern hydrodynamic approach. Sailing performance and structural design have been optimised through the use of tank testing, computational fluid dynamics, performance prediction, and finite element analysis. Safira, design no. 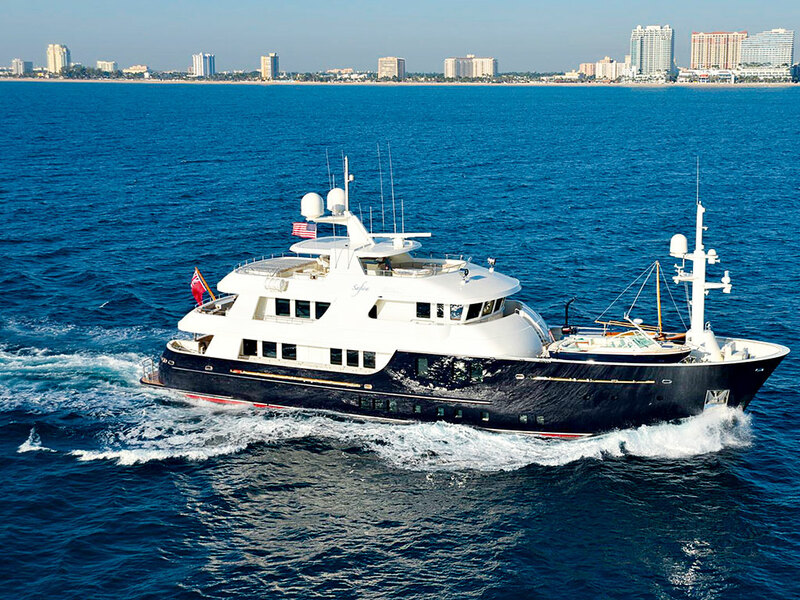 2736, is a 129-foot expedition motor yacht. She won the ShowBoats Design Award for Naval Architecture, exhibiting a robust, ice-strengthened, yet easily driven hull form. Powered by Schottel rotating propeller drives, she cruises effortlessly around the globe. Our clients wanted to explore beyond the typical locales they had visited with their previous yachts. Alaska, Greenland and remote South Pacific locations topped the shortlist. As the design took shape, the clients brought one other requirement to the project – environmental responsibility for construction and operation, similar to LEED building certification. Dorade, design no. 0007, is a 1930s ocean cruising yawl. She is the crown jewel and flagship of Sparkman & Stephens design, launching Olin and Rod Stephens to global recognition after a remarkable victory in the 1931 Transatlantic Race. Under new stewardship, she has undergone extensive refit work, bringing her back to her former glory. The current S&S team is proud to have been involved in the recent work on Dorade. She is actively participating in the global racing circuit once again! Rembrandt, design no. 2758, is a 25-foot centre console, built at Brooklin Boat Yard in Maine using cold-moulded construction. A traditional inboard diesel installation with a straight shaft is incorporated, with a variable deadrise v-shaped hull form. She is solid and steady underway, and exhibits sculpted sheer, deck, and trim styling. Our relationship with Morris Yachts has produced a strong fleet of new sailing yacht designs. Over the past decade, the M29 (design no. 2741), M36 (design no. 2706), M42 (design no. 2723) and M52 (design no. 2727) have all been successfully released as semi-production yachts. With well over 100 M-Series boats on the water, Sparkman & Stephens has a fantastic design database for modern hull forms with traditional overhangs. Over the past year, we have worked with Morris on the performance optimisation of the fleet, launching the X-Type M29, M36 and M42. These designs have more powerful rigs and keels, with weight-saving construction. Additionally, we are currently working with Morris on new designs for an M36 II, M46 and M65. We look forward to continued success. Design no. 0077 was Ranger, a J-Class racing sloop. The resurgence of the J-Class fleet is a testament to the beauty, grace and elegance of century-old design. These yachts are the pinnacle of yachting. As the designers of Ranger, along with Starling Burgess, Sparkman & Stephens has a complete database of design information for J-Class hull lines. Over the past several years, we have committed significant resources to studying the designs further for new constructions. Design no. 2752 is a 48-foot sloop, built at Lyman Morse in Thomaston, Maine. The interior is a generous open space, with fine detailing throughout. Underwater, she has a canoe body hull, with fin keel, bulb and spade rudder. On deck, she is clean and simple, with classic fit, finish and styling. The clean outfit was only achievable with sophisticated control system design and implementation for sailing and powering. With the touch of a button, the sails can be hoisted, furled, trimmed and eased. A joystick for dockside manoeuvring controls a rotating hydraulic sail drive and bow thruster. On our drawing boards, there are currently many other plans for motor yachts and sailing yachts. These range from a production 35-foot modern-classic centre console to a 130-foot classic sailing sloop. We look forward to sharing more information on these designs as they come to fruition. As I look through the list of historic Sparkman & Stephens designs compared to our projects today, it is interesting to see the similarities and differences. 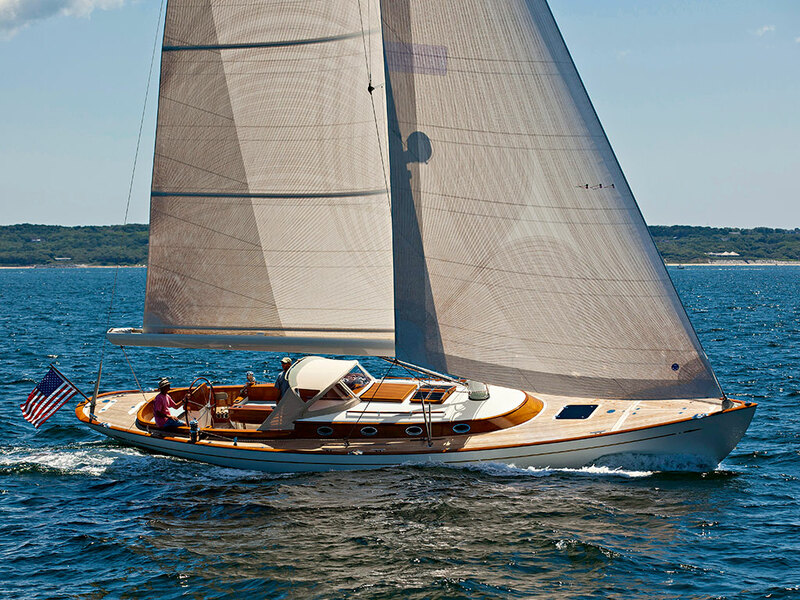 While gaining early recognition 85 years ago, largely through a wide range of racing sail yachts, S&S now designs just as wide a variety of motor yachts, cruisers, small boats and big yachts. We are proud to carry on the company’s tradition, and hope to do so for many more years to come. Sparkman & Stephens is dedicated to the ideals and philosophies that its founders set out in 1929. Our goal is to provide optimal service and be a solid resource for our clients in the yachting industry. Naval architecture and yacht brokerage have been our primary businesses for more than eight decades. In addition to our fundamental core, there are exciting opportunities for our business in the immediate future. To evolve with the times and address marketplace needs, we are bolstering our charter, insurance and yacht support services. With a team of dedicated personnel, Sparkman & Stephens will provide the highest quality service available. Another key component of our success in recent years at Sparkman & Stephens was a shift in location. The firm will always have a historic presence in the New York area, but our design department has now fully relocated to Newport, Rhode Island. Newport is truly the centre of north-east US yachting, and we are pleased to be a part of this ever-growing community. Our goal remains to work tirelessly for our clients, design creatively, wisely implement modern technology, and focus on the balance of aesthetic and function.